[Satnews] NASA’s commercial partner Orbital ATK plans to launch its Cygnus spacecraft into orbit on March 22, atop a United Launch Alliance Atlas V rocket for its fifth contracted resupply mission to the International Space Station. The flight, known as Orbital ATK CRS-6, will deliver investigations to the space station to study fire, meteors, regolith, adhesion, and 3-D printing in microgravity. A gem of an investigation will be heating up on CRS-6. The Spacecraft Fire Experiment-I (Saffire-I) intentionally lights a large-scale fire inside an empty Cygnus resupply vehicle after it leaves the space station and before it re-enters Earth’s atmosphere. 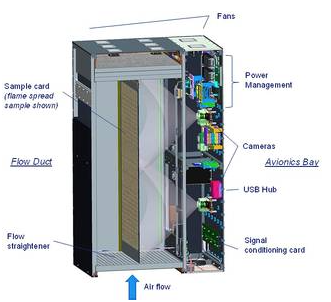 In the decades of research into combustion and fire processes in reduced gravity, few experiments have directly studied spacecraft fire safety under low-gravity conditions, and none of these experiments have studied sample and environment sizes typical of those expected in a spacecraft fire. The Saffire-I investigation provides a new way to study a realistic fire on an exploration vehicle, which has not been possible in the past because the risks for performing such studies on manned spacecraft are too high. Instruments on the returning Cygnus will measure flame growth, oxygen use and more. Results could determine microgravity flammability limits for several spacecraft materials, help to validate NASA’s material selection criteria, and help scientists understand how microgravity and limited oxygen affect flame size. 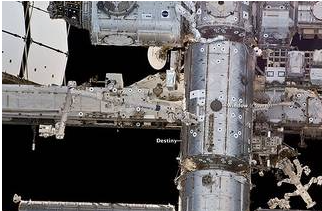 The investigation is crucial for the safety of current and future space missions. A less heated investigation, Meteor Composition Determination (Meteor), will enable the first space-based observations of meteors entering Earth’s atmosphere from space. Meteors are somewhat rare and are difficult to monitor from the ground because of Earth’s atmosphere. Meteor uses high-resolution video and image analysis of the atmosphere to ascertain the physical and chemical properties of the meteoroid dust, such as size, density and chemical composition. Since scientists usually identify the parent comets or asteroids for most meteor showers, the study of the meteoroid dust from the space station provides information about those parent comets and asteroids. Investigating the elemental composition of meteors adds to our understanding of how the planets developed, and continuous measurement of meteor interactions with Earth’s atmosphere could spot previously unforeseen meteors. A more ‘grounded’ investigation will study the properties and behavior of regolith, the impact-shattered “soil” found on asteroids, comets, the Moon and other airless worlds. The Strata-1investigation could give us answers about how regolith behaves and moves in microgravity, how easy or difficult it is to anchor a spacecraft in regolith, how it interacts with spacecraft and spacesuit materials, and other important properties. This will help NASA learn how to safely move and process large volumes of regolith, and predict and prevent risk to spacecraft and astronauts visiting these small bodies. Regolith is different from soil here on Earth in that it contains no living material. We do not adequately understand the behavior of regolith on small, airless bodies. Previous NASA missions suggest that regolith may flow like sediments in a streambed as asteroids and comets deform; however new, fundamental research is needed on regolith physics in prolonged microgravity. 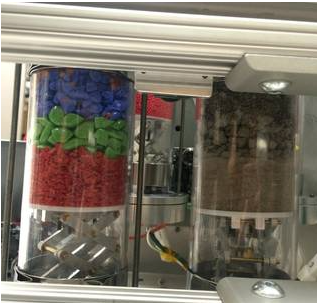 The Strata-1 experimental facility exposes a series of regolith simulants, including pulverized meteorite material, glass beads, and regolith simulants composed of terrestrial materials and stored in multiple transparent tubes, to prolonged microgravity on the space station. Scientists will monitor changes in regolith layers and layering, size sorting, and particle migration via video images and close examination after return of regolith samples to Earth. Strata-1 can be used in a range of future experiments to study the behavior of materials like those seen on specific types of asteroids and the Mars moon, Phobos, which have been identified as exploration targets for the Asteroid Redirect Mission (ARM). From grounded to gripping, another investigation launching takes its inspiration from small lizards. Geckos have specialized hairs on their feet called setae that let them stick to vertical surfaces without falling, and their stickiness doesn’t wear off with repeated use. 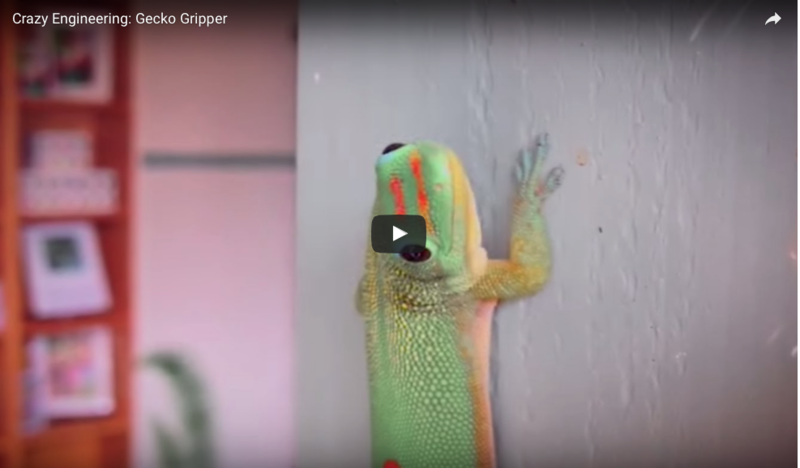 The Gecko Gripper investigation tests a gecko-adhesive gripping device that can stick on command in the harsh environment of space. The gripping device is a material with synthetic hairs much like setae that are much thinner than a human hair. When a force is applied to make the tiny hairs bend, the positively charged part of a molecule within a slight electrical field attracts the negatively charged part of its neighbor resulting in "stickiness." Once adhered, the gripper can bear loads up to 20 pounds. The gripper can remain in place indefinitely and can also be easily removed and reused. 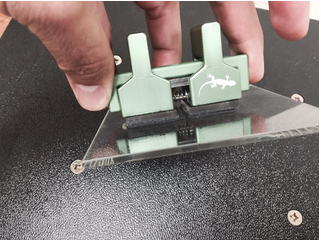 Gecko Grippers have many applications on current and future space missions, including acting as mounting devices for payloads, instruction manuals and many other small items within the space station. In addition, gecko adhesive technology enables a new type of robotic inspection system that could prove vital for spacecraft safety and repair. Grippers could also inspect and service satellites and be used for large grappling equipment to catch and retrieve large pieces of space debris, reducing the risk of collisions. The technology in this investigation also holds promise for industries where gecko-like grippers could be used in factories to handle fragile or lightweight objects like glass, and bags or boxes of food. From adhesion to additive, the new Additive Manufacturing Facility (AMF) will also launch on the flight. Additive manufacturing (3D printing) is the process of building a part layer-by-layer, with an efficient use of the material. The AMF uses this technology to enable the production of components on the space station for both NASA and commercial objectives. Parts, entire experiments, and tools can be created on demand. The facility is capable of producing parts out of a wide variety of space-rated composites, including engineered plastics. 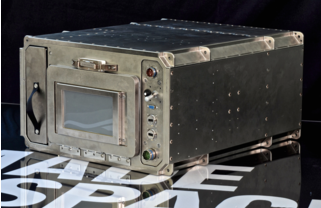 The ability to manufacture on the orbiting laboratory enables on-demand repair and production capability, as well as essential research for manufacturing on long-term missions. These sticky, stony and sizzling investigations are just a sampling of the wide range of science conducted on the orbiting laboratory that benefits future spaceflight and provides Earth-based benefits as well.